The 2018 race course has been entirely modified due to road and highway construction work around the sports stadium of Shangri La City. 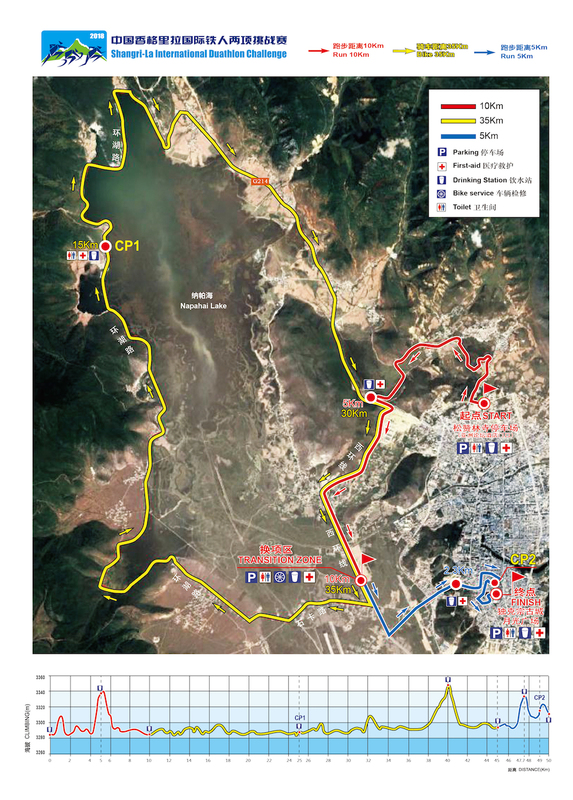 The race has a new start and finish location and will now be 10-35-5, a total distance of 50 km. It is a race from A to B to C taking in three of the most iconic sights of Shangri-La, which is quite unique for a duathlon. The finish is inside the old town of Shangri La.